2. Hit straight. If your putt looks straight, hit middle of the cup. If you start the putt straight, you have a margin on either side. If the putt breaks right or left, you will still have margin on one side. So hit the putt straight and don’t worry about giving up the hole. 3. Stroke through the ball. Putting mechanics are for the practice green and most Thailand golfers tend to ease up on short putts. Don’t ease up putt right through the ball. 4. Stand with your eyes over the ball. There’s only one rule for sinking 4 foot putts. Get your eyes over the ball. This simplifies things enormously for all golfers in Thailand. 5. Focus on the first inch.Be painstaking about that first inch. At address keep your eyes riveted on the first inch and don’t move them until you’re ball is one inch past impact. 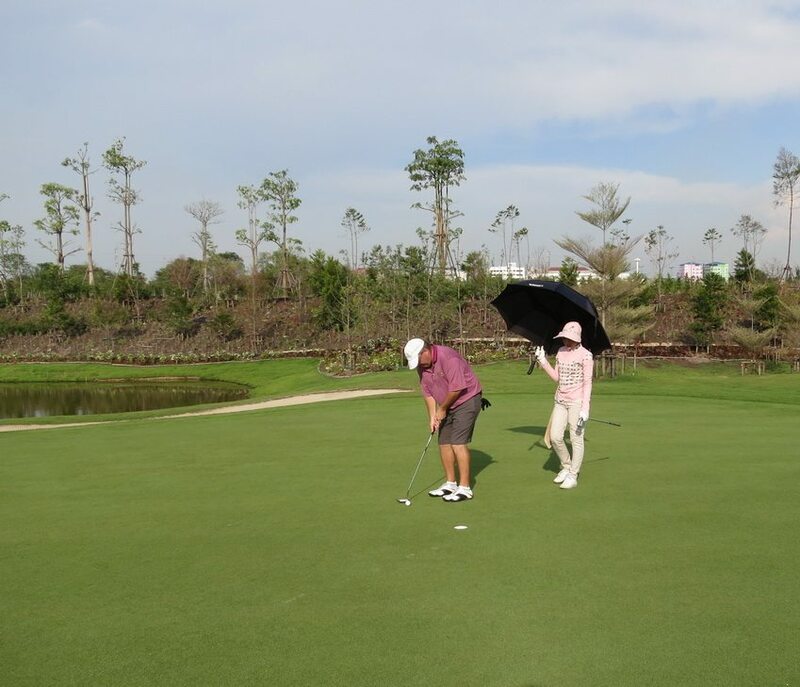 Follow these tips when on any Thailand golf course and you’ll drain 4 footers just like a Thai golf professional.